ZigZag777 Casino will then reward you with a bonus (Welcome Bonus is for new players only). The terms and conditions of the bonuses vary between different casinos and might also change over time and between different countries, so it is important to compare the different offers and read the T&C for ZigZag777 Casino before signing up. Zigzag777 paved its way into the internet gambling market in 2016. This online casino is owned and operated by JocSolutions Limited, a company that holds a licence issued at Curacao. It means ZigZag777 is a completely foolproof venue allowing you to enjoy a carefree gaming experience. What’s more, all of the games in the casino have been independently tested by Technical Systems Testing, which ensures all online gaming operations are safe, auditable and operating correctly. Moreover, ZigZag777 Casino utilises a certified RNG, to promise you complete fairness and randomness. At first glance, you will notice that the site creators were focused on delivering a visually appealing homepage that displays all the relevant information, along with nice pictures which offer you a quick look at the promotions awaiting you. The website can be viewed in several languages including English, German, Polish, Swedish, Russian, Chinese, Ukrainian, Turkish, and Romanian, making it really convenient for players from different parts of the world. It is also worth mentioning that the site is fully optimised for mobile play. On their site they state that they use software supplied by Microgaming, one of the leading software providers in the online gaming industry and more than 200 games from them. The fact that Microgaming is their major software supplier is certainly true, however, the list of providers includes other notable developers. Keeping company to Microgaming, there are NetEnt, Betsoft, NextGen Gaming, iSoftBet, Genesis Gaming, Quickspin, Ezugi, Amatic, Endorphina, Habanero, Pragmatic Play, Mr. Slotty, and plenty more to pick from. Players can easily browse ZigZag777’s catalogue of games which includes slots, Roulette and casual games. For easier navigation, they have provided a search bar which can be used to find your favourites more quickly and easily. The slot section at ZigZag777 is filled to the brim with slots that come in a variety of themes. For example, you will be able to enjoy such games like Starburst, Planet of the Apes, Jurassic Park, Immortal Romance, Gonzo’s Quest, Bonanza, Break da Bank Again, Thunderstruck and plenty more. However, if you would rather try one of the new titles, check out these current top titles: Trolls Bridge, Showdown Saloon, Divine Dreams, Nitro Circus, Book of Oz, Action Ops: Snow & Sable, and Vikings. Apart from the amazing offer of slots, this casino also has a decent collection of table games. The Roulette fans will find a lot of variations like American, European, French, Multi-Wheel, Premium, Common Draw, Roulette Royal, Roulette Advanced, and Zoom Roulette. In addition to this, there are several other games including classic card games like poker, baccarat, and blackjack. 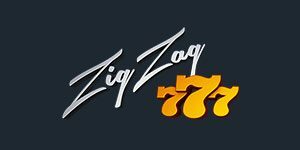 As for the live casino, ZigZag777 gives you a chance to experience the beauty of playing live without ever leaving the comfort of your home. Live dealer section at ZigZag777 casino is not, however, clearly highlighted and accessible and it may striker you as if there are no live dealer games available here. We made sure to dig deep behind the vibrant interface of this cartoonish venue to find Roulette rooms filled with highly skilled dealers. Just log in, pick one and try your luck with the likes of Live Automatic Roulette or Live Roulette with La Part. Within the Casual Games category on the site are keno, bingo, pontoon, and scratch card games like 7 Piggies and Game, Set and Scratch. There are also games like Virtual Sportsbook 3D, Offside and Seek, Beer Fest, and others. All-Aces and others. This category also includes video poker. You can have a go at Aces and Eights, Jacks or Better, All Aces Poker and similar games. A vast array of payment options is available at ZigZag777 Casino. For making deposits you will be able to use standard credit cards like Visa and MasterCard ewallets Neteller, Skrill, EcoPayz and Bitcoin; the prepaid voucher Paysafecard as well as the bank transfer methods like SafetyPay, PoLi, Euteller, Multibanco and TrustPay. Among the accepted currencies are Euros, Polish zlotys, Russian rubles, Swedish kronor. What should be highlighted is that they also accept Bitcoin, a cryptocurrency that has been rising in popularity recently. The restrictions on money withdrawal are the following: You can’t withdraw more than 1500 EUR a day, 3000 EUR a week, and 9000 EUR a month. The live chat option has been what we are all used to using nowadays, since it is a quick and easy way to get in touch with casinos customer service. Just like any good online casino, ZigZag777 Casino has 24/7 live chat feature. If you have any questions, you can contact their support team By clicking on the live chat button somewhere on the screen. This is always available, any time of day, so you should have no problem in reaching out to someone when required.